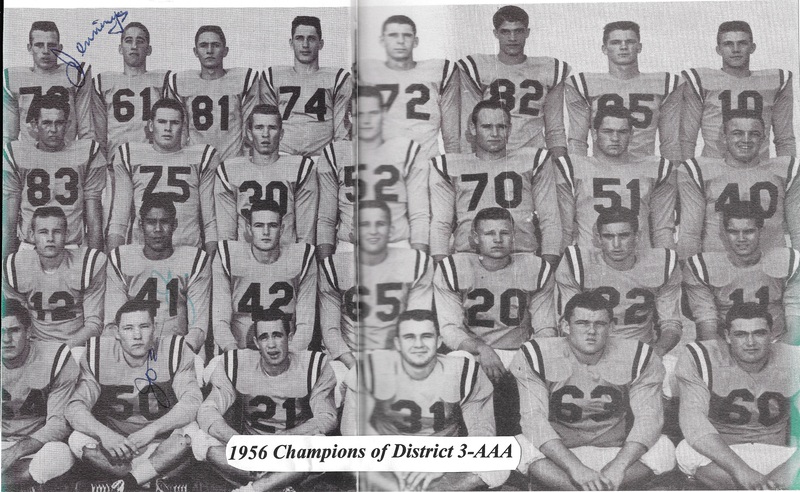 The late Powell Berry was an all-district quarterback at Snyder. 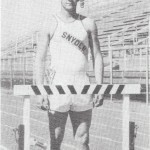 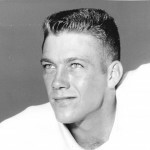 He is a member of the Snyder Hall of Honor and was a three-year letterman for Bear Bryant at Texas A&M where he was a team co-captain as a senior. 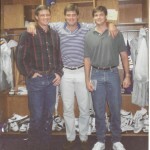 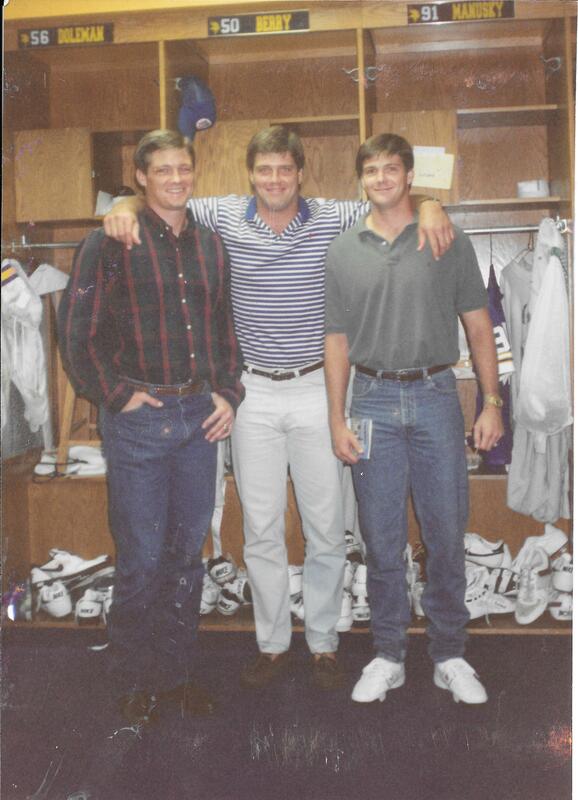 All three sons played football at Abilene Cooper. 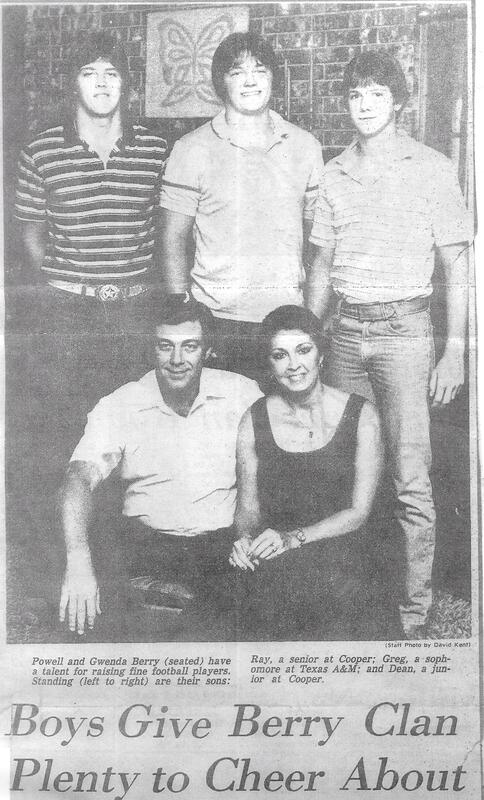 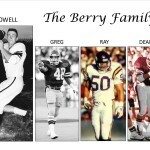 Middle son Ray is already member of the Big Country Athletic Hall of Fame. 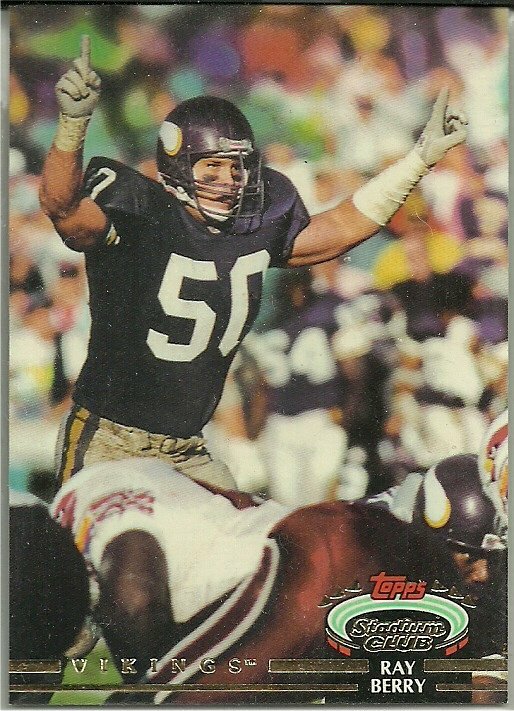 He played football at Baylor and for the Minnesota Vikings. 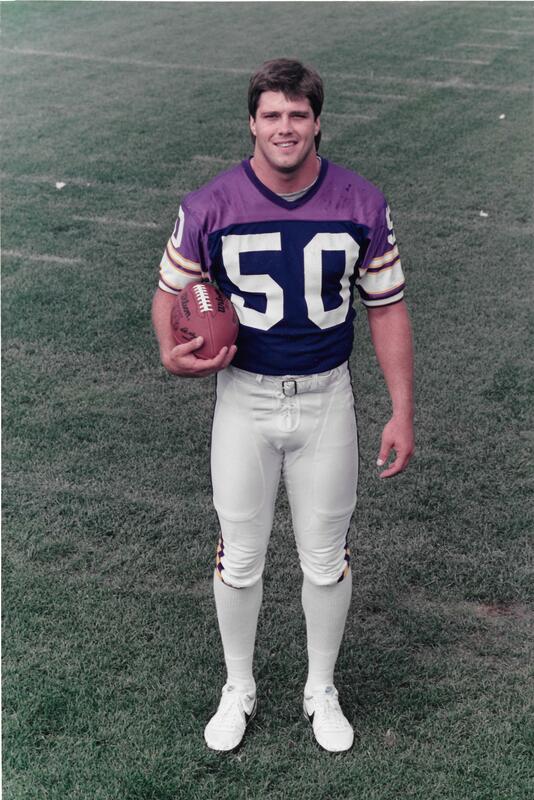 He was the Southwest Conference Defensive Player of the Year in 1986. 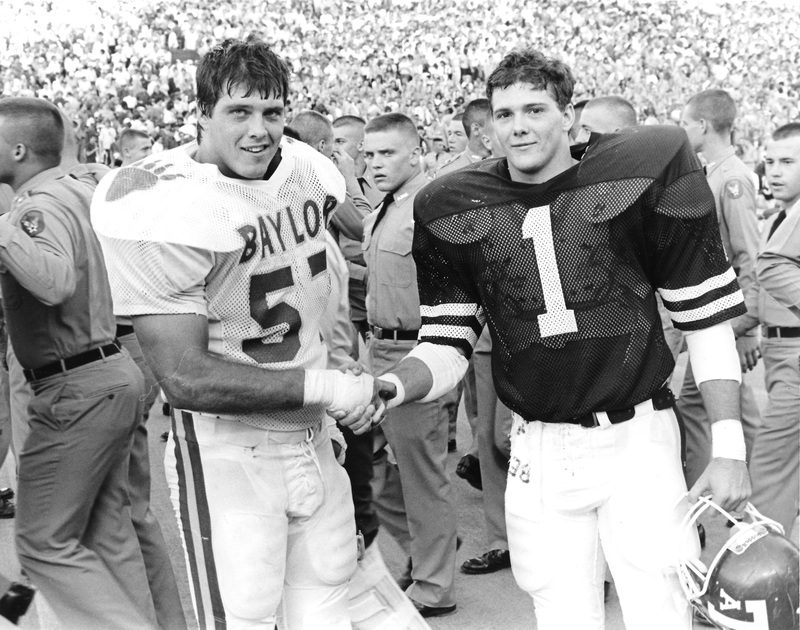 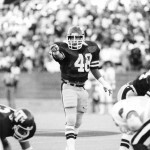 MVP of 1986 Bluebonnet Bowl and 1987 Senior Bowl and is second in career tackles in Baylor history. 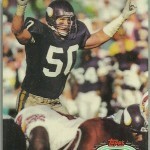 Ray played seven seasons in NFL for the Vikings and Seattle Seahawks. 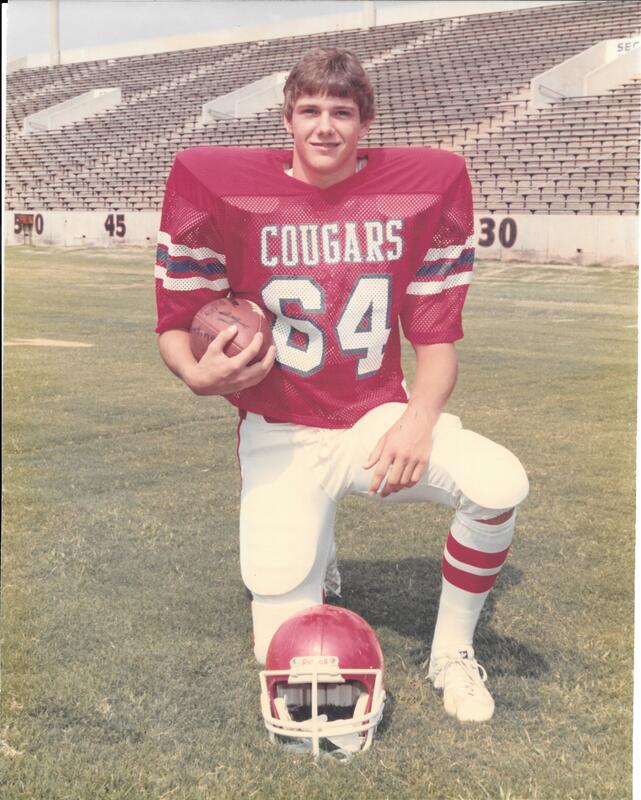 Oldest son Greg was an all-state linebacker at Cooper in 1979 and was a four-year letterman at Texas A&M. 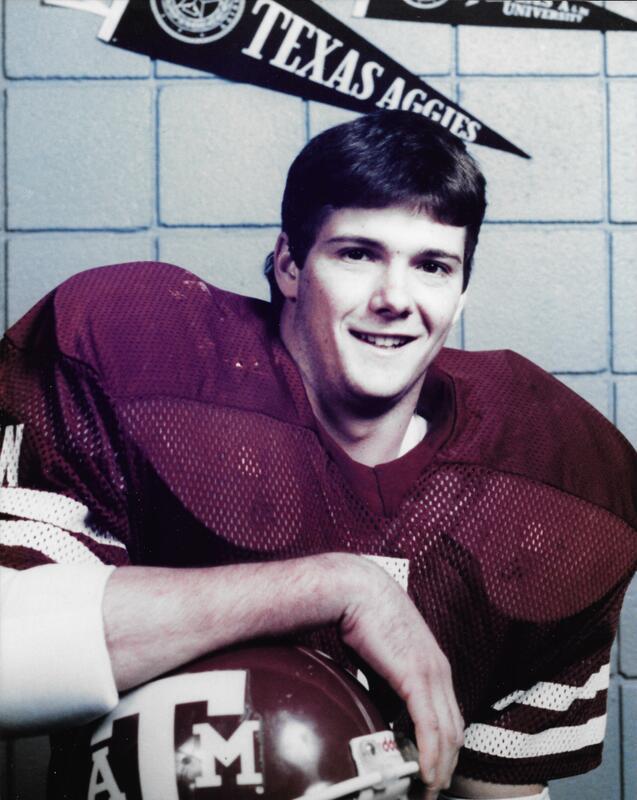 He was team captain for the Aggies in 1983. 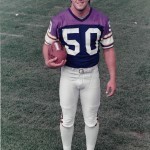 Youngest son Dean also played linebacker at Cooper. 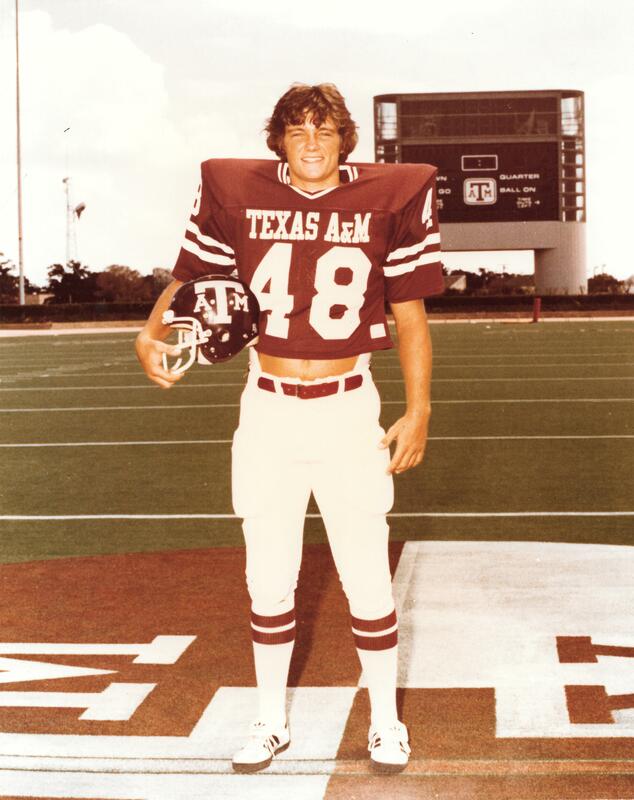 As a sophomore at Texas A&M, he walked on and was selected to be a member of the 12th Man Kickoff Team, which was started by Jackie Sherrill in 1983. 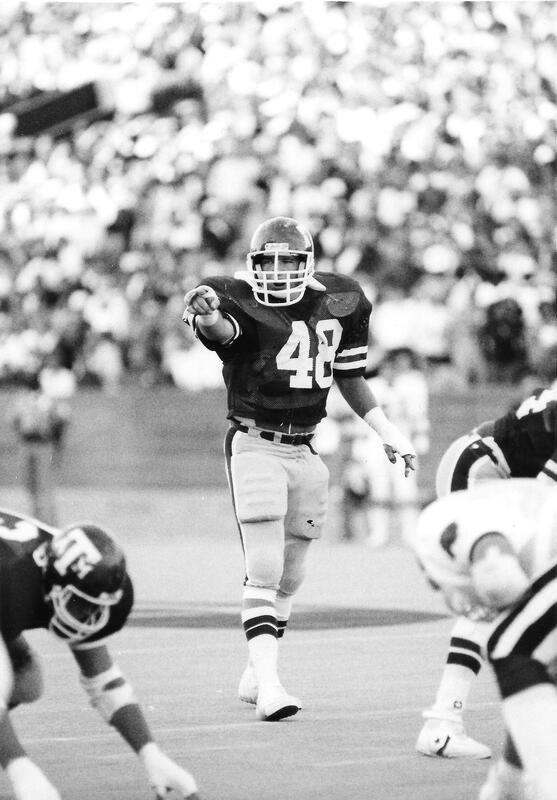 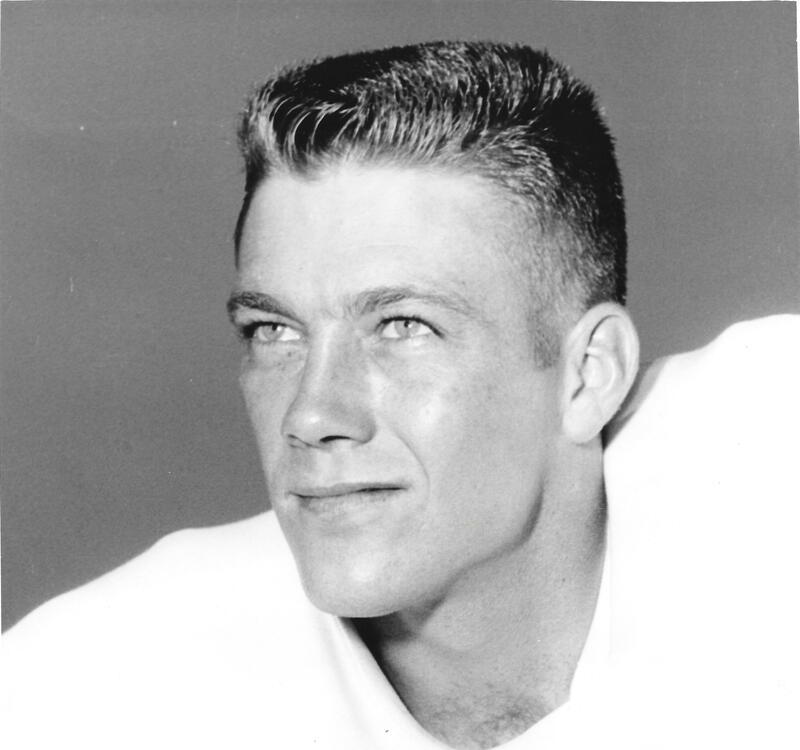 Through his participation as a 12th Man Kickoff Team member, Dean played for three Southwest Conference championship teams at A&M as a special teams starter and reserve linebacker. 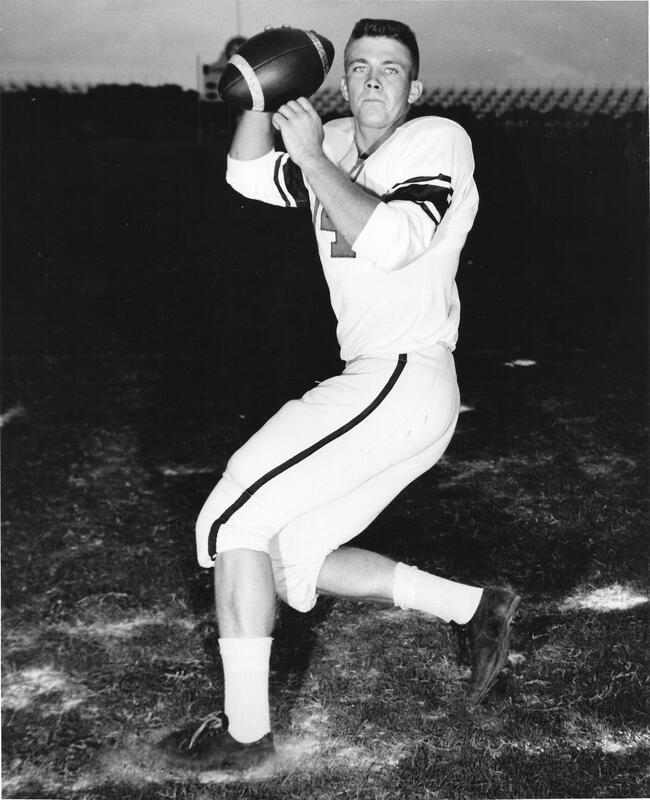 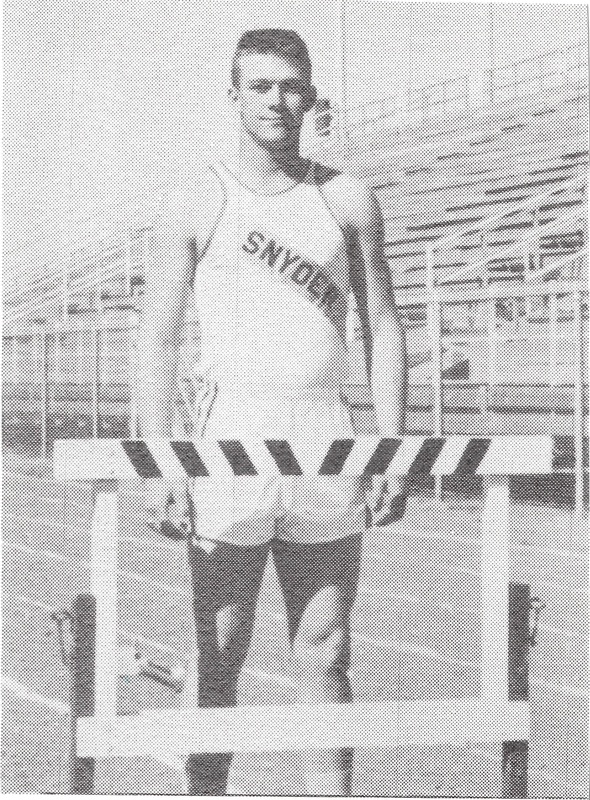 He was awarded three letters and was selected team captain his senior year. 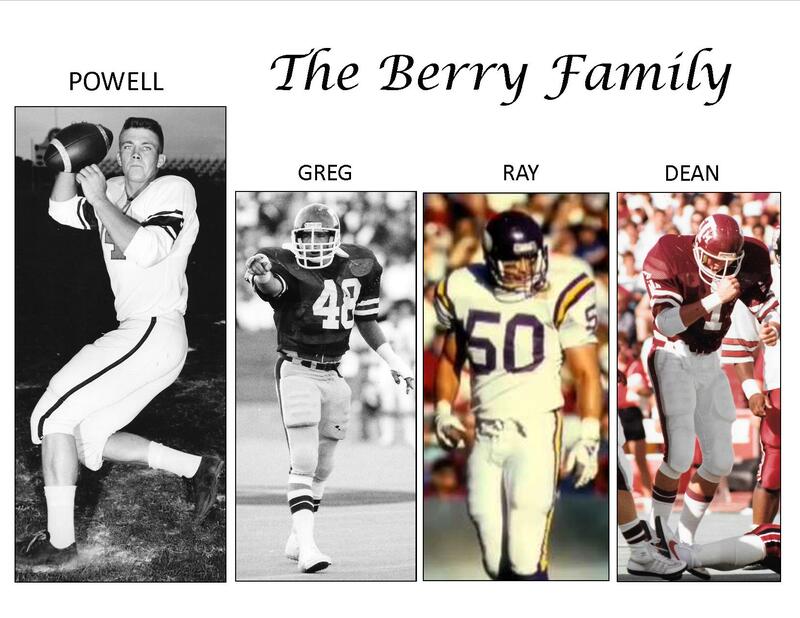 Continuing the tradition, several members of the third generation of the Berry family have earned all-district honors in both football and volleyball at Abilene High.